Mother’s Day is a day to celebrate mom and it can be hard to find that perfect gift that she’ll love. It’s also one of those holidays that comes with mixed feelings for me. On the one hand, moms are important and should be celebrated. On the other hand, I’m not so sure that a gift is the proper way to celebrate mom, especially now that I’ve spent a year in the shoes of a mom. In fact, I think the best way to celebrate mom might be with a gesture rather than a cute gift tied with a bow. The task of being up all night and waking at the first sound of a baby often falls on mom. I can’t tell you how many nights I’ve spent with hardly any sleep or the number of mornings when I was up before the rooster even crowed. I have wished for more sleep on more than one occassion since becoming a mom. In fact, I think it’s safe to say that I haven’t had a full night’s sleep in over a year. Baby Fox finally sleeps through the night, but I still wake at every sound he makes. This is one that I see mentioned often in memes and mommy groups. Many moms can’t seem to take a potty break of their own without a little one following behind. I have several tricks up my sleeve for when I need a break, but that still doesn’t guarantee a peaceful potty break. In fact, there is often a little one to be heard in the distance when I’m trying to take care of my own private business. Little things like stopping by the grocery store or filling up the gas tank seem to take twice as long with a little one tagging along. And let’s not get started on the trips where your tiny friend decides to have a meltdown in the middle of the store – that definitely makes the trip more enjoyable. Sometimes, I enjoy a quick run to the store with no little hands trying to get my attention. They are few and far between due to my husband’s work schedule, but I take them when I can get them. “I’m on day 3 of no shower” seems to be a common phrase in the mom community. Many moms spend so much time taking care of everyone else that their needs get pushed to the back burner. 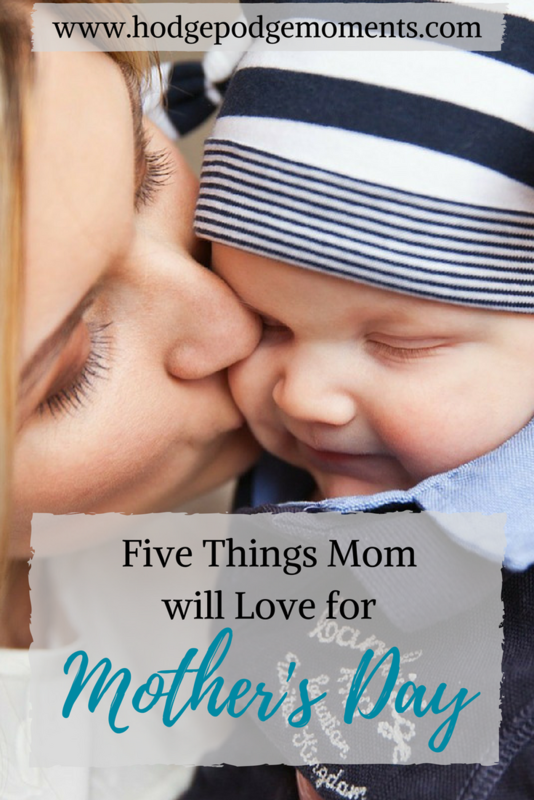 I can’t personally attest to the three days without a shower, but I know it’s a common thing for many moms, which is why I included it on this list. Sometimes the easiest gift you can give a mom is the gift of a quiet, worry free shower or bath. Enjoy a hot cup of coffee. How many times have you warmed up your coffee today? If you’re a mom, the answer is probably multiple. It’s so easy to get busy and lose track of your cup when you’re a mom. There are many days where the coffee gets warmed multiple times until it eventually goes down the sink because it tastes so bad. A great gift for a mom would be making her a hot cup of coffee and allowing her to enjoy it before it gets cold. At the end of the day, being a mom is a great thing and most of us are thankful for these small changes that we make for our kids. That doesn’t mean that we weren’t be extremely grateful if someone took over for an hour or two so that we could sip our coffee and enjoy some quiet time alone. Are you a mom? What’s on your wish list for Mother’s Day? Not a mom? 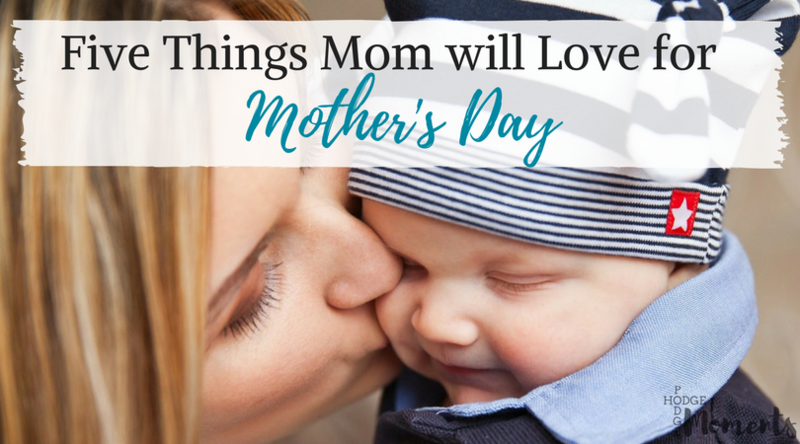 What would you get for a mom in your life? That is definitely another good one! Enjoying a show of your choosing in peace is such a relaxing thing! All these things – which is why for a combined Mother’s Day/birthday treat, I’ve asked for a 24-hour staycation in a hotel all my myself. Sleep, relaxation, quiet – it’s going to be wonderful! I am so jealous of your upcoming staycation! It sounds like the perfect way to spend the time! I don’t need flowers or gives, butI would love ALL 5 of these things! I’m right there with you! A good break goes a long way in the self care department!